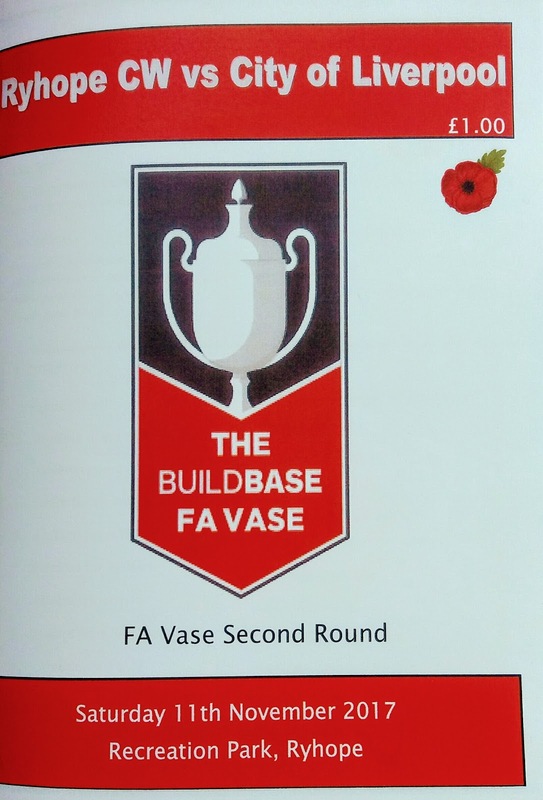 When the draw for the second round of the Vase was made, this was the tie that immediately leaped off the page as far as I was concerned - a clash between two teams from two of my favourite leagues as Northern League Ryhope Colliery Welfare were drawn at home to North West Counties League City of Liverpool FC. Ryhope is a village that forms part of the city of Sunderland. 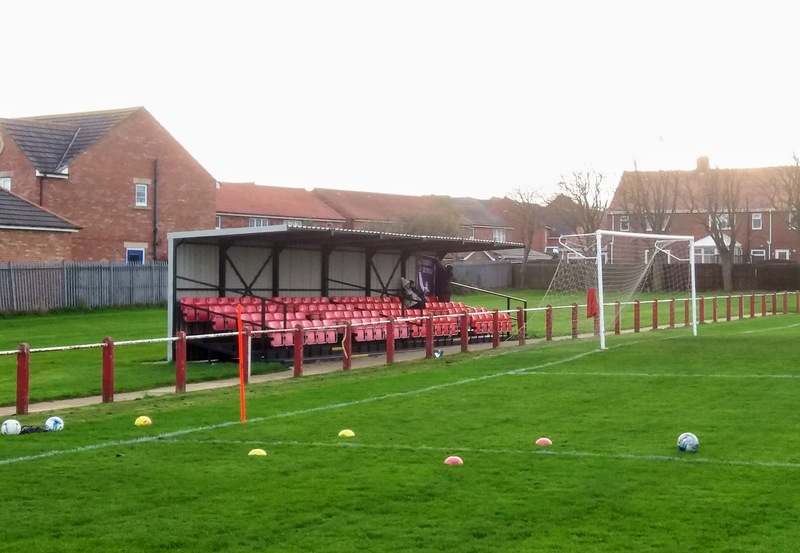 Like most places in the area, the village was a mining village until the 1960's, when the pit was closed, and the football club was founded in 1892 by miners from the local colliery. 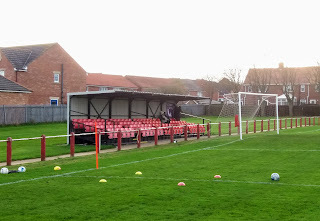 The football club has spent most of its history playing in the Wearside League but in 2012, after winning four competitions the Wearside League Title, Sunderland Shipowners Cup, Monkwearmouth Charity Cup and League Cup, a repeat of the previous season no less, the club accepted promotion to the Northern League. 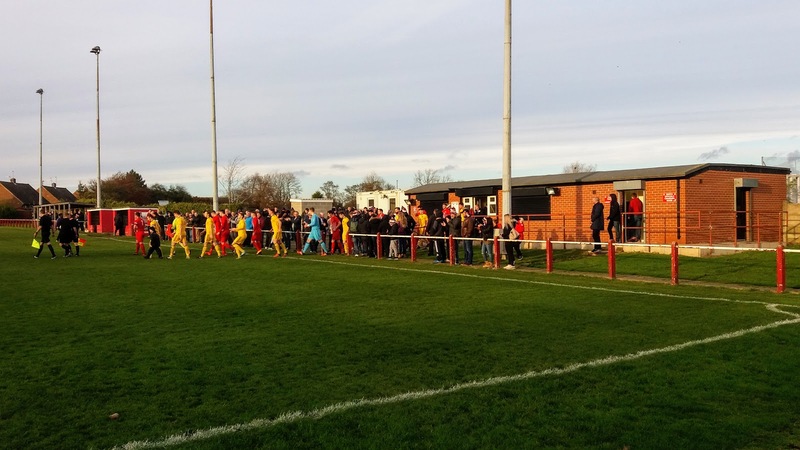 Ryhope's fine form continued and the club finished runners up in Division Two, behind Crook Town, but instead of promotion to division one the club were relegated back to the Wearside League due to ground grading rules. 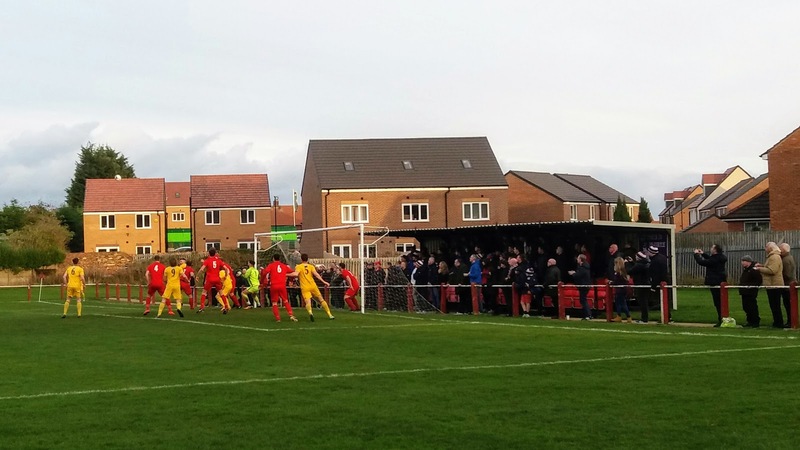 After bringing their Recreation Park up to the necessary requirements, including the extension of the club’s changing rooms and separate referee facilities and public toilets, club returned to the Northern League in 2014 and won promotion to the top flight in 2016. The official attendance for the game was 245 and I would say at least three quarters of the crowd had travelled up from Merseyside. They certainly made their presence felt with plenty of noise and colour. 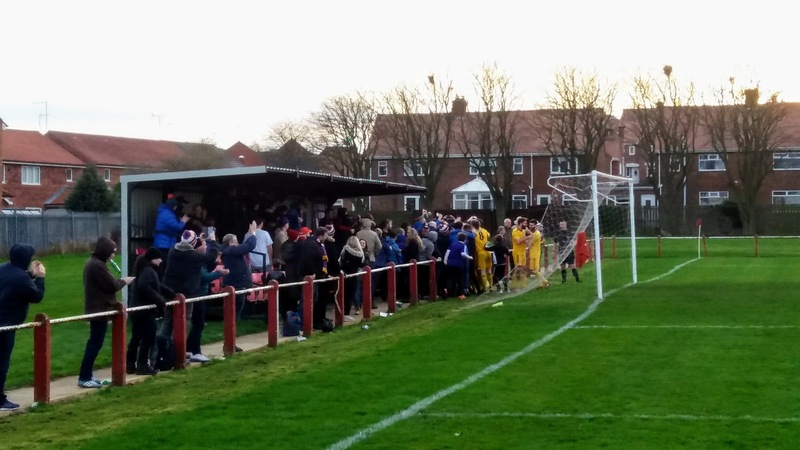 It certainly helped create an atmosphere in the ground. 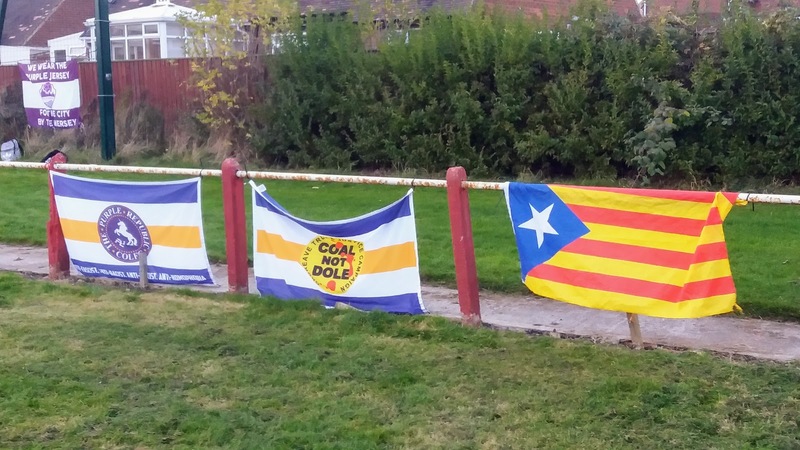 As well as getting behind their team there were some very interesting songs about a former British Prime Minister of the 1980's! 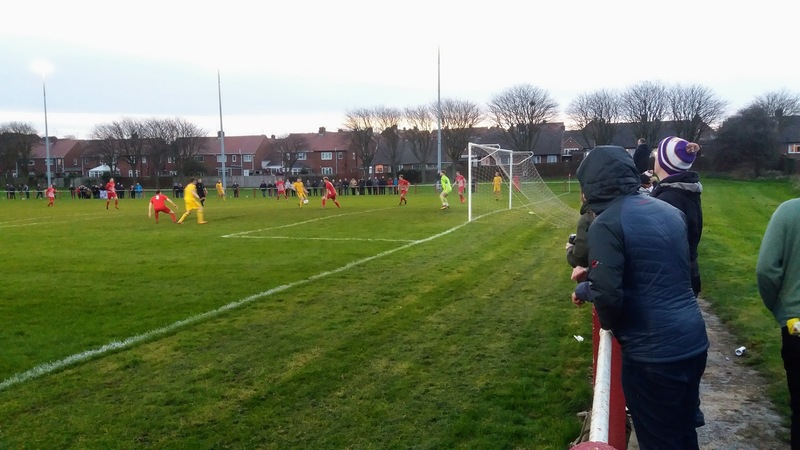 It was the Purps who dominated the opening stages as they launched wave after wave of attacks, but in truth they never truly tested Jonathan Ball in the Ryhope goal. 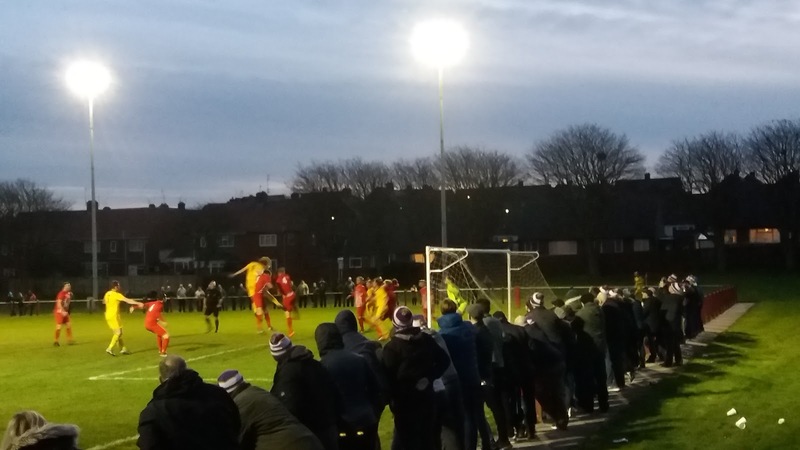 The closest City of Liverpool came to breaking the deadlock was through a header from Daniel Dalton which came back off the underside of the crossbar. 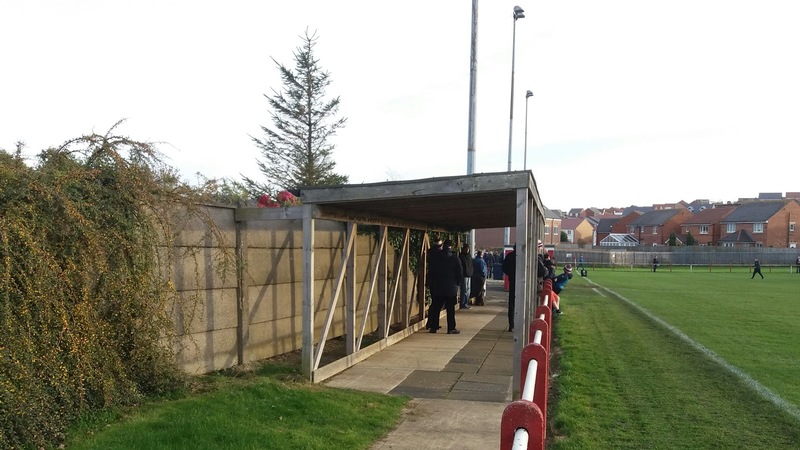 Ryhope played themselves into the game and were finally getting forward however after 42 minutes City of Liverpool scored. After good work down the right, the ball was played into Joseph Camozzi in the area and with quick feet he managed to control the ball with his left foot and prod it past the 'keeper with his right. 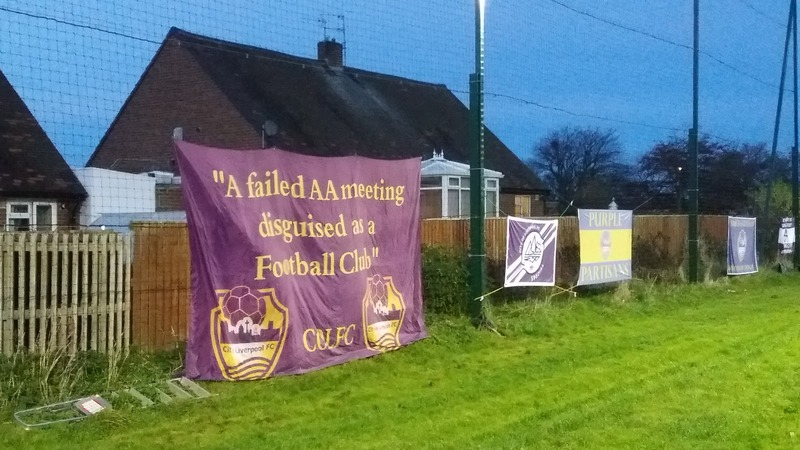 On the balance of the first half it was no more than The Purps deserved. 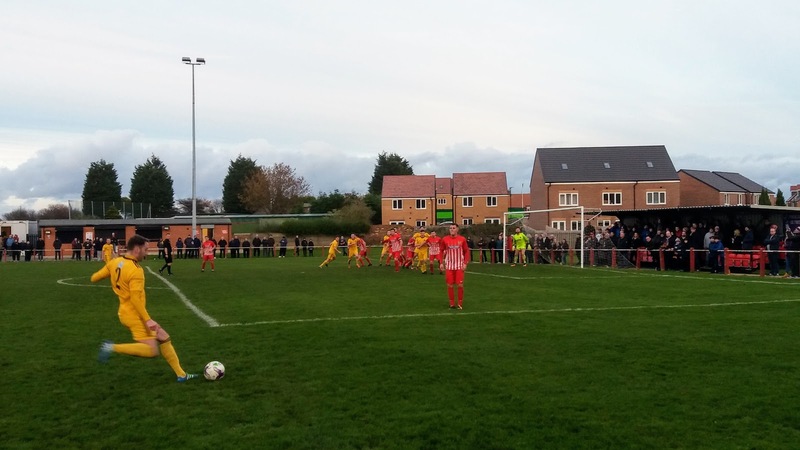 The second half was just six minutes old when a long ball was played into the path of Karl Noon and, after the ball was allowed to bounce, the midfielder struck a superb volley into the bottom corner of the net from around 20 yards out. A tremendous finish. 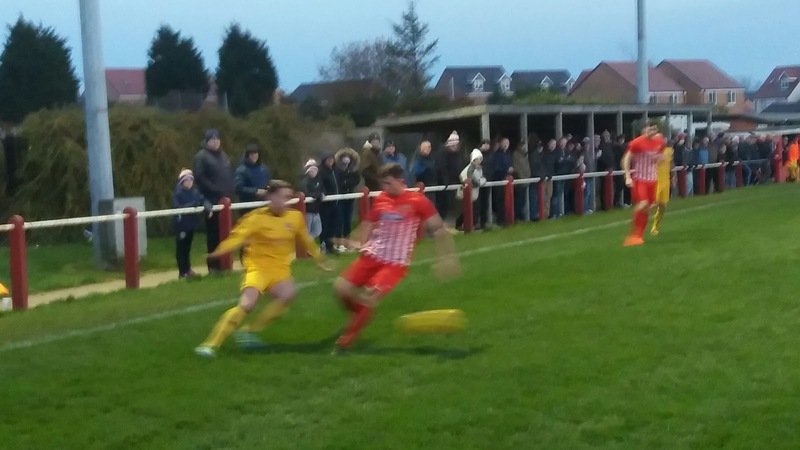 That wasn't the end of the quality goals though as Ryhope got themselves back in the game after 62 minutes thanks to a volley from Thomas Bott, which from a similar range out swerved and dipped over Karl Wills in the Purps goal. 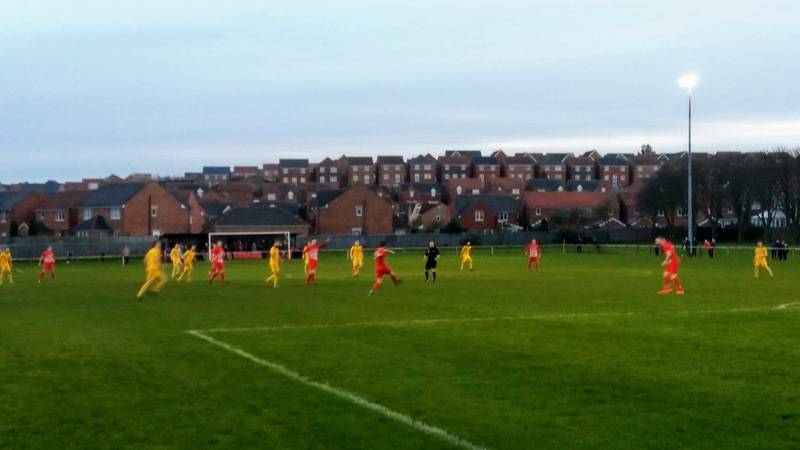 This strike came after City of Liverpool had two glorious chances to wrap the tie up. The first when Elliott Nevitt burst through one-on-one but his effort was saved by the advancing Ball. Then soon after Nevitt burst through again but opted to square the ball to Noon rather than shoot and the chance was missed by the midfielder. 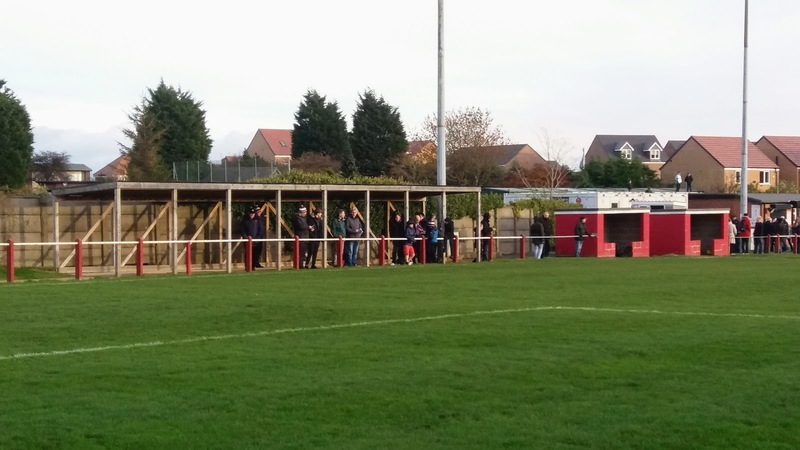 The game was more open in the latter stages of the second half as fatigue set in and it became end-to-end as a result. 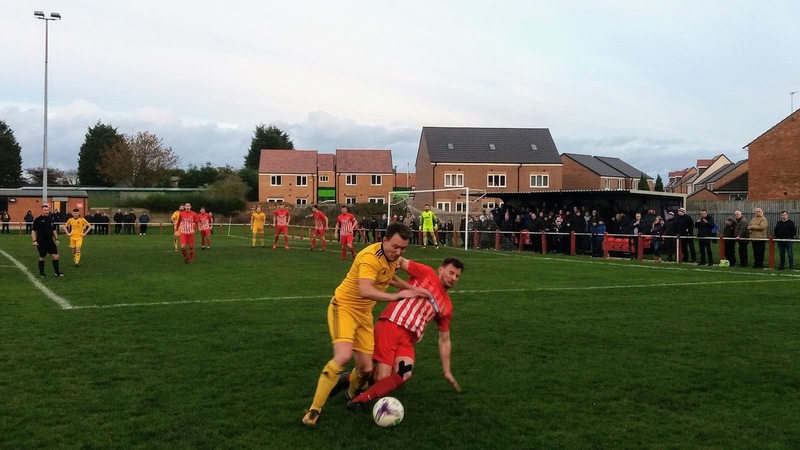 Ryhope piled on the pressure as the game drew to it's conclusion but despite six minutes of stoppage time they could not find an equaliser. 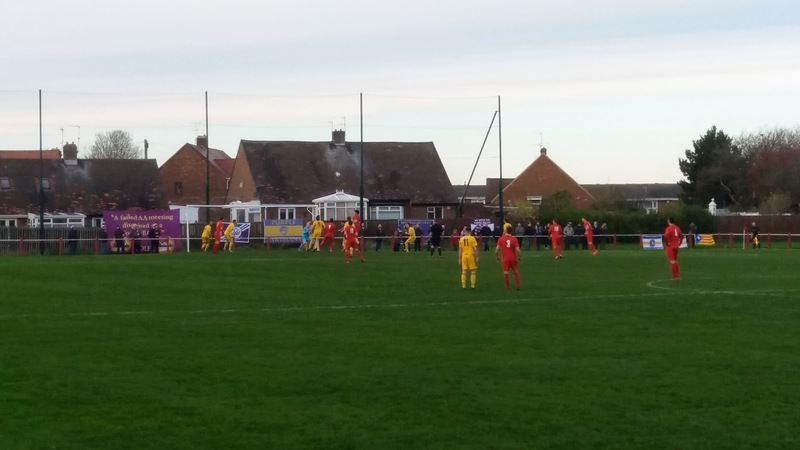 It was City of Liverpool who won through and they will face another journey to the North East in December when they travel to Stockton Town in the 3rd round. 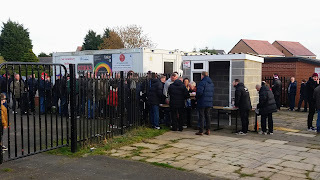 All photographs are © Chris Powell. All rights reserved. If you want to use any please ask! . Watermark theme. Powered by Blogger.